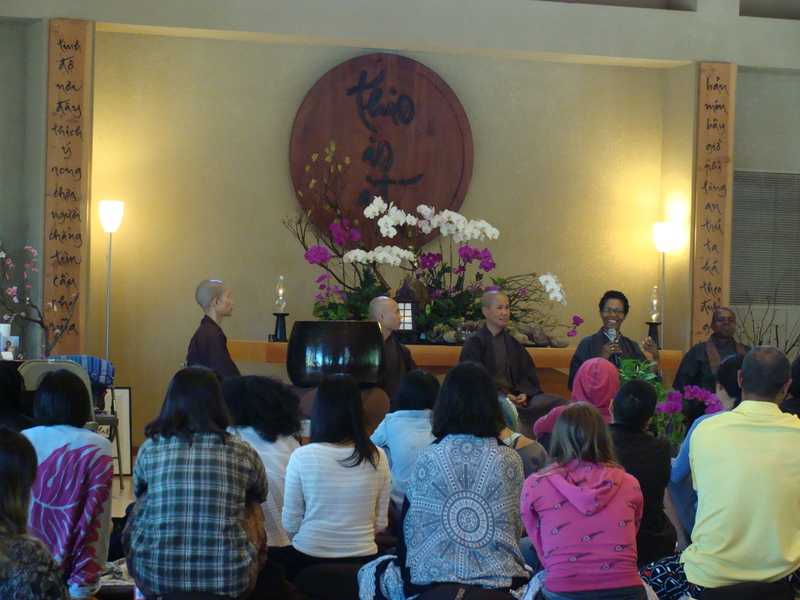 This is the Question & Answer Session (and final recording) from The Path of True Love: Healing Ourselves mindfulness retreat for People of Color. We are deeply grateful to our teachers Br. Larry Ward, Rev. angel Kyodo williams and Rev. Zenju Earthlyn Manuel, Br. Man Tue, Sister Hang Nghiem for all the shining wisdom, compassion, joy and skillfulness they offered nourishing our healing and inspiring wise action. 1. What do we do about our public schools? 3. How do we help others when we are being triggered? 4. How do we continue our meditation when anxiety comes up? 5. How do we partner in activism for collective liberation? 6. How have you strived to perfect love in this practice? 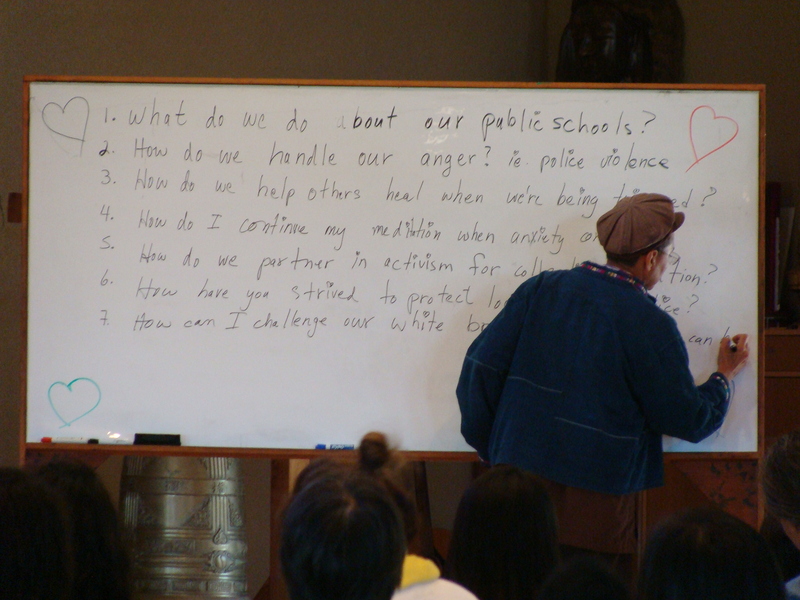 Let us now stop, listen deeply and contemplate these teachings and sharings to cultivate our individual and collective healing and great aspiration to strengthen the Beloved Community.